This description gives a short overview about the technical and mechanical datas of the myAVR LCD Add-On. 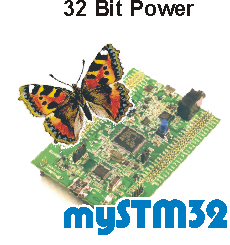 The myAVR LCD Add-On is a modul for the myAVR board. 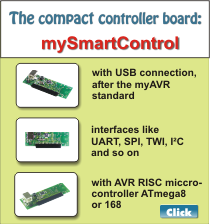 The Interface Data for the myAVR Board are shown. Furthermore this document contains display data and commands as well as indications for the programming of the display. 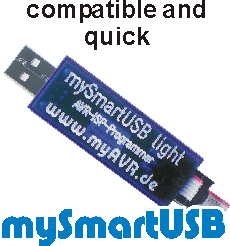 The myAVR LCD Add-On 2.5 replaces further versions . The myAVR LCD Add-On is available in our shop. You find the myAVR LCD of add On and the teaching exercise book for the LCD programming in our shop.